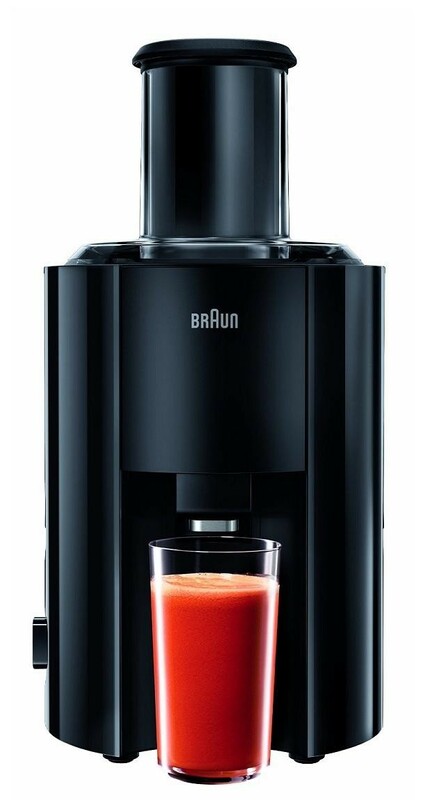 The Braun J300 800W Multiquick Juicer lets you prepare up to 1.25 litres of delicious fruit and veg juices. 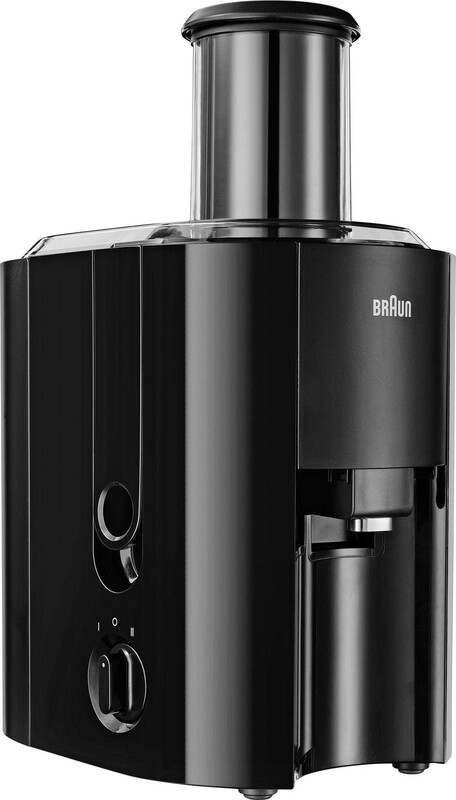 The Braun juicer uses a powerful 800 W motor to quickly break up fruit and vegetables so you can create smooth or textured juices to your own specification. It is capable of making a fresh glass of juice in just 15 seconds. A 2-litre pulp container keeps the pulp from your juiced fruit and vegetables neatly out of sight, so you won't have to deal with the mess straight away. Many of the parts of the machine are dishwasher-safe to make cleaning easier. 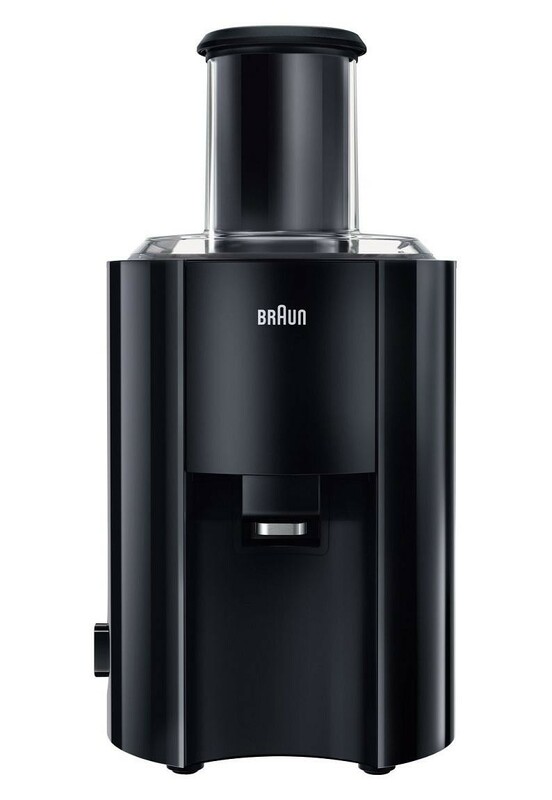 The Braun J300 800W Multiquick Juicer is the perfect choice for home juicing. Capable of making a fresh glass of juice in just 15 seconds.